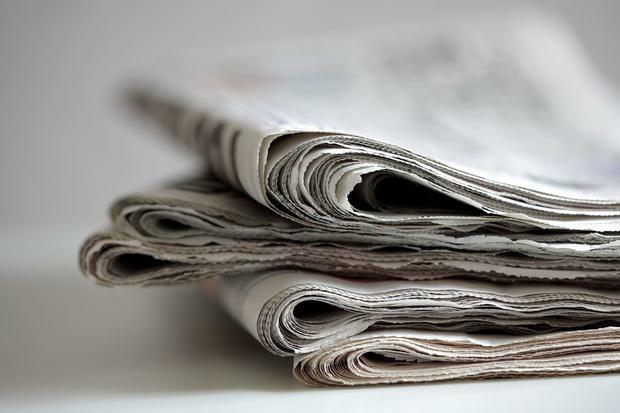 NEWSPAPER publisher Johnston Press is preparing to end its debt crisis this weekend by entering administration and immediately handing control to its lenders. Johnston owns nine Northern Ireland papers including the ‘Belfast News’, plus ‘The Scotsman’, the ‘Yorkshire Post’ and the ‘i’ newspaper in mainland Britain. The publisher had recently been looking at ways to refinance £220m of debt that become repayable in June next year. Last night, the board said none of the offers the company had received were sufficient. The embattled publisher said the best remaining option is for the company and its principal subsidiaries to be placed into administration. It is envisaged that, subject to administration orders being made, the group’s businesses and assets will then be sold to a newly-incorporated group of companies controlled by the holders of the bonds, Johnston Press said. The company also added that the defined benefit pension scheme will not transfer and the Pension Protection Fund will be notified and the PPF, with the assistance of the Trustees of the Scheme, will then assess whether the scheme needs to enter the PPF. The company is due to apply for court approval to appoint administrators and execute a pre-packaged sale to a new holding company controlled by the New York hedge fund GoldenTree Asset Management. Restructuring specialists AlixPartners will handle the administration, which is scheduled over the weekend to minimise disruption to the business. In 2014, the company sold off the 14 newspapers it owned in Ireland, including the ‘Limerick Leader’ and ‘Kilkenny People’.